The weekday after-school hours of three to six p.m. represent an enormous challenge for children in the U.S. More than 70 percent of U.S. children have parents who work outside the home, leaving 15 million youth unsupervised by adults when the school day ends and three times more likely to engage in violent crime, drug use, alcohol and sexual activity. 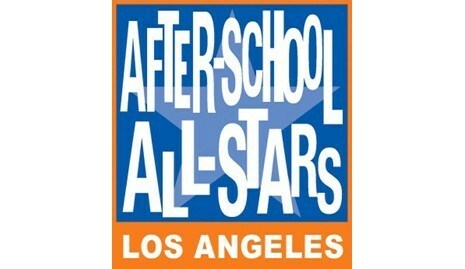 After-School All-Stars offers a proven alternative for these children. We are the largest national organization solely focused on providing school-based after-school and summer programs for low-income, at-risk youth. Founded by Arnold Schwarzenegger in 1992, ASAS now serves over 81,404 children annually at 453 school sites across the US. ASAS programs combine academic support, engaging enrichment activities, and health and fitness programs to improve students’ overall performance. At each After-School All-Star school site, academic learning support, including homework assistance is provided. After-School All-Stars, Los Angeles provides meaningful opportunities in a variety of disciplines in the arts ranging from mural art, graphic arts & photography to music and dance. Other unique activities include hip-hop dance, Folklorico dance, film-making classes, fashion design and modeling. Also, participants may choose from an array of activities in the areas of performing arts, culinary arts, team sports and non-traditional tournaments. More traditional offerings include basketball, football, baseball, soccer and cheerleading. Other innovative activities include skateboarding, capoiera, track & field, yoga, and fencing. Our mission is to help kids succeed in school and in life.